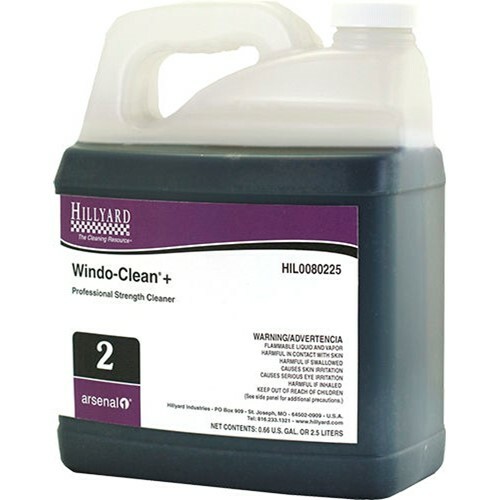 Home → Chemicals → Hillyard, Arsenal One, Windo-Clean Plus #2, Dilution Control, HIL0080225, Four 2.5 liter bottles per case, sold as One 2.5 liter bottle. A concentrated cleaner for use on surfaces not damaged by water including glass, mirrors, CRT screens, TV screens, office equipment. Dissolves grease, oil, fingerprints, smudges and soils quickly. Not for use on anti-glare treated screens. Dilution rate 6 oz per gallon.